The automatic control of system (or machine) is a very accurate and effective means to perform desired function by the system in which the human operator is replaced by a device there by relieving the human operator from the job thus saving physical strength. The automatic control systems are also called as self-activated systems. 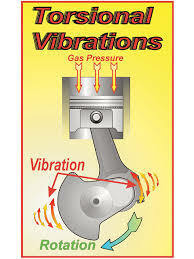 The centrifugal actuated ball governor which controls the throttle valve to maintain the constant speed of an engine is an example of an automatically controlled system. The automatic control systems are very fast, produces uniform and quality products. It reduces the requirement of human operators thus minimizing wage bills. Command: The result of the act of adjustment, i.e. closing a valve, moving a lever, pressing buttons etc., is known as Command. Response: The subsequent result of the system to the command is known as response. Process control: The automatic control of variables like change in pressure, temperature and speed etc., in machine is termed as process control. Process controller: The device which controls a process is called a process control. Kinetic control: The automatic control of the displacement or velocity or acceleration of a member of a machine is called as Kinetic control. Regulator: The device used to keep the variables at a constant desired value is called as regulator. Feed back: It is defined as measuring the output of the machine for comparison with the input to the machine. Error detector: A differential device used to measure the actual controlled quantity and to compare it continuously with the desired value is called an error detector. It is also called deviation sensor. Transducer: It is a device to change a signal which is in one physical form to a corresponding signal in another physical form. The example of transducer are a loudspeaker (because it converts electrical signal into a sound) and photo-electric cell (because it converts a light signal into an electric signal). Similarly, the primary elements of all the many different forms of thermometers are transducers. A simple Bourdon tube pressure gauge commonly used for measuring pressure. A simple carburattor in which the air-fuel ratio adjusted through venturi remains same irrespective of load conditions. In traffic lights system, the timing of lights is present irrespective of intensity of traffic. (a) In a traffic control system, if the flow of traffic is measured either by counting the number of vehicles by a person or by counting the impulses due to the vehicles passing over a pressure pad and then setting the time of signal lights. (b) In a thermostatically controlled water heater, whenever the temperature of water heater rises above the required point, the thermostat senses it and switches the water heater off so as to bring the temperature down to the required point. Similarly, when the temperature falls below the required point, the thermostat switches on the water heater to raise the temperature of water to the required point. Fig. Block diagram of a single Carburettor. 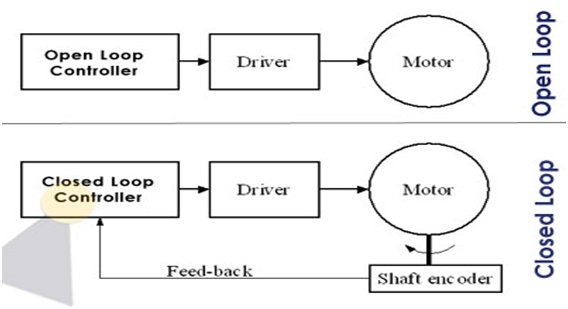 The block diagrams are used to study the automatic control system in simplified way. In this, the functioning of a system is explained by the inter connected blocks where each block represents a labelled rectangle and is thought of as a block box with a definite function. These blocks are connected to other blocks by lines with arrow marks in order to indicate the sequence of events that are taking place. It may also show how the system operates, what are its inputs and outputs at various stages, and how the energy, information, and/or materials flow through it. 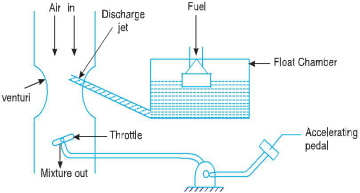 Above Fig., shows the diagram of a simple carburattor. The reduction of a control system to a block diagram greatly facilitates the analysis of the system performance or response. We know that response is the subsequent result of the system to the command. In any control system, there is a delay in response (output) due to some inherent cause and it becomes difficult to measure the input and output simultaneously. This delay in response is termed as lag in response. For example, in steam turbine, with the sudden decrease in load, the hydraulic relay moves in the direction to close the valve. But unless the piston valve ports are made with literally zero overlap, there would be some lag in operation, since the first movement of the piston valve would not be sufficient to open the ports. This lag increases the probability of unstable operation. When torque is applied in a system in a direction opposite to its motion, it is known as Damping. In case of coulomb damping, the opposition is constant and, thus there will be a constant difference between the input and the output under steady conditions. In the viscous damping provided by dashpot, the opposition is proportional to the relative velocity. As the relative velocity is zero in the steady state, the damping is also zero. θi = Input signal to the block of a system. Thus, the output from an element be obtained by multiplying the input signal with the transfer function. Note : From the transfer function of the individual block, the equation of motion of system can be formulated. G(D) = Some function of the operator D.
Note: The above equation only true if there is no interaction between the blocks, that is the output from one block is not affected by its connection to the subsequent blocks. Fig. Open loop control system. Fig. Simplified open loop control system. The above expression shows the transfer function for the closed-loop control system. Thus the block diagram may be further simplified as shown in Fig., where the entire system is represented by a single block. 2. 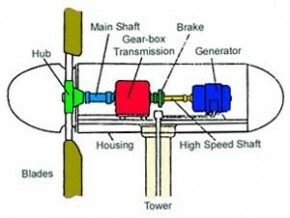 Explain different types of Automatic Control Systems? Explain with an example. 3. Discuss the importance of block diagrams in control systems. (b) A thermostatically controlled electric furnace. 5. What is a transfer function ? 6. Derive Open - loop and closed - loop transfer functions? Prime Minister Narendramodi today (5th July 2016) reshuffled Council of ministers for the second time since 2014. He expanded his Union Council of Ministers with 19 New Ministers from 10 states. Smriti Irani, She has been moved out of the Human Resource Development (HRD Ministry) to Textile Ministry. Prakash Javadekar, who was promoted to cabinet rank, will hold his portfolio now. Venkaiah Naidu will now be Minister for Information and Broadcasting, a portfolio held by Finance Minister Arun Jaitley as an additional charge. Sadananda Gowda loses the Law Ministry to Ravi Shankar Prasad, who is also the Information Technology Minister. Note: Prime Minister Narendra Modi will hold : personal, public Grievances & Pensions, Department of Atomic Energy, Department of Space, All important policy issues, and All other portfolios not allocated to any Ministers.